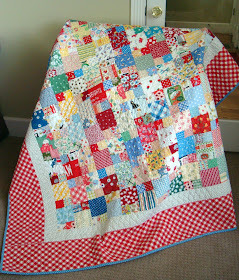 I love scrappy quilts, like this scrappy loveliness by Freda's Hive. This fun one by Crazy Mom Quilts. And this spectacular postage stamp quilt by Red Pepper Quilts. I have such trouble with making scrappy quilts because I don't enjoy being out of control. Truth be told, I like to be in control in several areas of my life. *ahem* But if you look at all three of these examples, they all have order. Take Freda's quilt. It is made with 2 1/2" squares and 4 1/2" squares. To me that is order. And easy. Except in my mind. So I made a decision to take a new look at my scraps and see if there was a better way to organize them so they will at least have the potential to be used in something as fabulous as these three quilts. Yes, I have high expectations. I spent the last 3 days sorting, cutting, tossing all of my scraps. It was a bit scary at first, but once I got going and I began to see neat piles of workable squares, it became easier and it felt freeing! 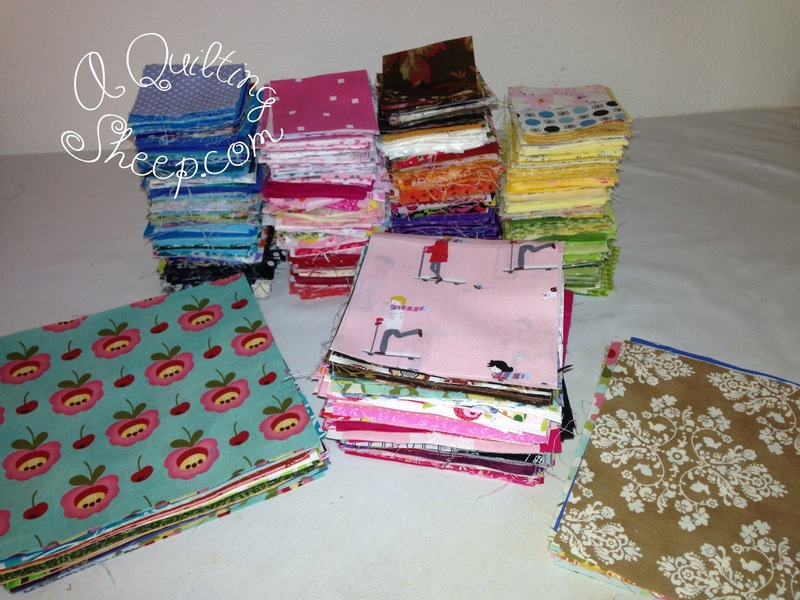 Larger pieces of scraps (smaller than a fat quarter) sorted by color. 2 1/2" strips and 5" squares. 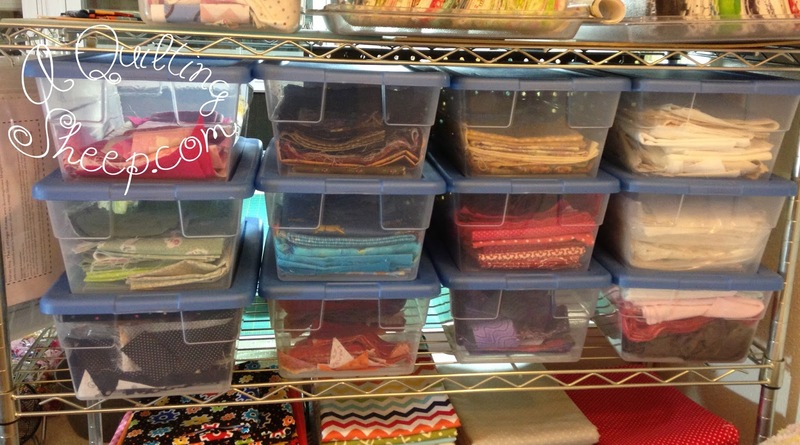 What are your idea for organizing scraps? Do you use them? Toss them? Or give them away? Now I might could do that. I just didn't think of it. Thanks for the idea Amy! That looks great, once I move I'm going to have fun organizing my stash! Good work. I am not that organized. 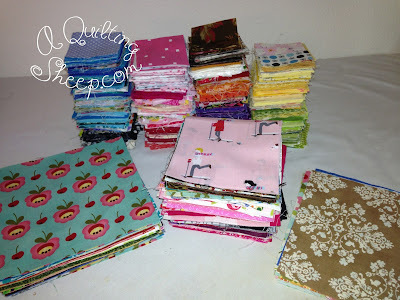 I do put my scraps into 5, 2 1/2, 2, 1 1/2, and 1 inch squares, and also in 2 1/2, 2, 1 1/2 and 1 inch strips. I pull them out when I am paper piecing, or doing something a bit scrappy. I have a plan, to use them someday. I can't bear to part with even the smallest scrap! I have mine in Rubbermaid containers (big ones) and in the zipper bags you buy comforters in. Totally unorganized! I love how your scraps are visible...I would love to have all my fabrics where I can see them and adore them! 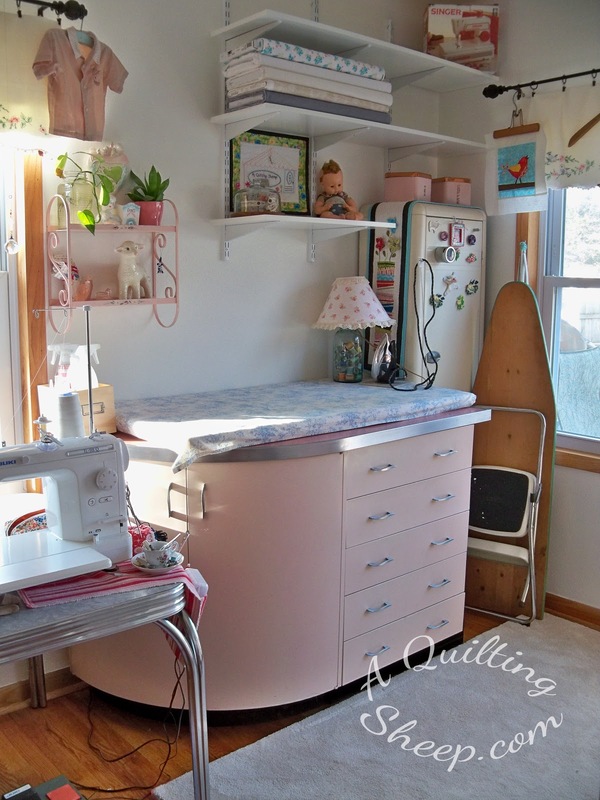 I am slowly trying to make my sewing/laundry room more sewing friendly and your ideas inspire me, Amy! 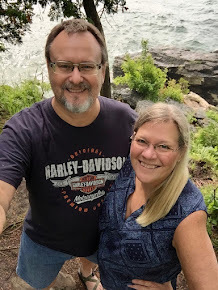 Hope all is well with you and your family...I pray for you every day! 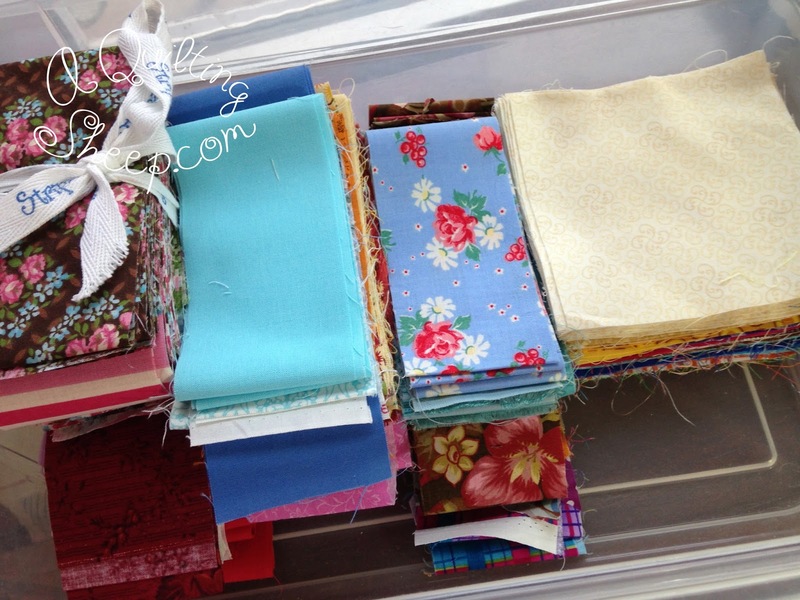 I need to go through my fabric and do just what you did...my stash is in total chaos right now. I have plastic containers for most of my fabric, but it's those little pieces that throw me over the edge. I love scrappy quilts, too. The three you've shown are very successful! I've just heard of a great ides - to cut scraps little by little as you're cutting out other pieces, sort of like leaders and enders. But for now mine are sorted by color and by size just like yours used to be. I like how you've now organized them. They will be much easier to use. I like scrappy quilts but don't take the time to make them because I usually share my scraps with my bee friends. Several of those clear shoe boxes have been stacked in my room for a couple of weeks or more waiting for me to do exactly what you did with your scraps! Yours look great! 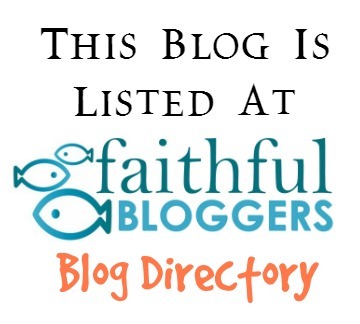 It's great incentive for me to get started on the same thing! :) Good for you for all that hard work! I was working on a quilt this week using pieces of fabric that I have had for some time instead of purchasing fabric. I like the way it is coming together but as I was sewing and tossing scraps in my basket I realized I have to do something to get organized. Your ideas are great. 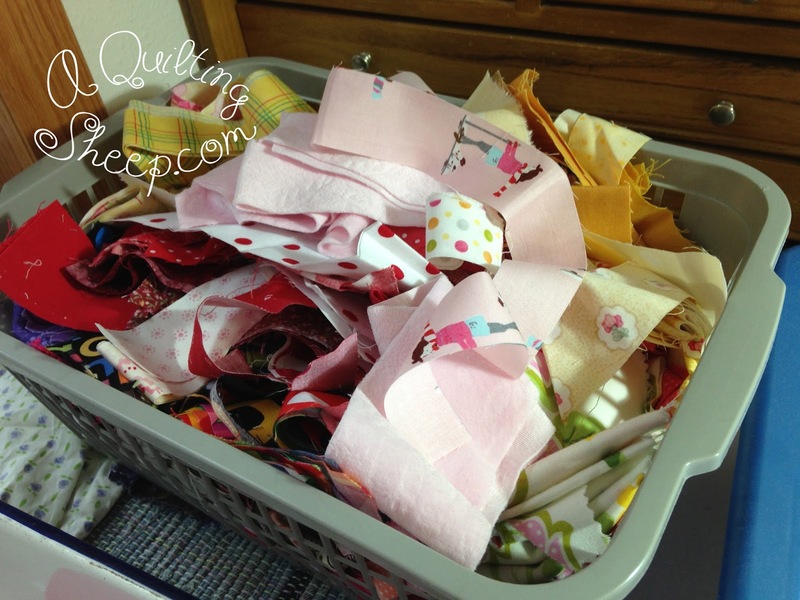 I have a large basket sitting by my machine full of odds and ends of scraps. I keep telling myself to cut squares or strips and maybe I will use them. Thanks for the inspiration.